Five nursing students at Three Rivers College have been awarded funds from the Dede Lawson Memorial Scholarship. 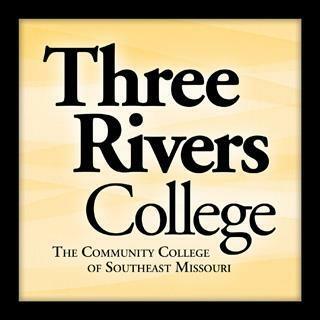 The scholarship is administered by the Three Rivers Endowment Trust. Amanda Cordell of Neelyville. Cordell is a 1995 graduate of Neelyville High School. She is the daughter of Ronald Conley and Dora Conley Turner of Neelyville. Alexandra Gilmore of Neelyville. Gilmore is a 2017 graduate of Neelyville High School. She is the daughter of Sheri Gilmore of Neelyville. James Robert Osborn of Poplar Bluff. Osborn is a 2017 graduate of Poplar Bluff High School. He is married to Chloe Osborn. Katie Redwine of Poplar Bluff. Redwine is a 2017 graduate of Poplar Bluff High School. She is the daughter of Roger and Dana Redwine of Poplar Bluff. Chante Tidwell of Ellsinore. Tidwell is a 2009 graduate of Continental Academy in Mirimar, Florida. She is married to Gus Tidwell. She is the daughter of Keith and Elizabeth Dean of Poplar Bluff. This scholarship was established in the memory of Dede Lawson, a 1979 graduate of Three Rivers College. She spent her life working in the nursing field until she passed away at the age of 49 after being diagnosed with cancer.